112 - National Emergency Number. New number launched as an all-in-one emergency number. 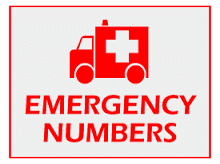 The common emergency number for police, fire, ambulance etc. 104 - State medical helpline. Medical counseling, health, blood helpline number. To check PNR status of your ticket, train arrival information, train departure information, fare enquiry, ticket through SMS related information helpline number. Railway Protection Force(RPF) Helpline Number, Contact for any security issues. To help passengers those who are seeking security assistance during train journeys. To get help for any medical emergency, food & catering related issues, coach cleanliness, coach maintenance related issues. Send SMS CLEAN < Space >< 10-digit PNR number> to 58888 from your mobile. Any passenger may demand clean my coach during the train journey. On board housekeeping service (OBHS) is provided to facilitate cleaning of coaches during the run of the train itself. Online contact by just filling PNR number and mobile number. Passenger's helpline number, Women's helpline number. Passengers can contact for seeking help for any event of thefts, harassment or any issues. Complaints, suggestions through twitter. Just tweet yours complain during train journey with tagging @RailMinIndia. Also tag GMs, DRMs for appropriate action. Now days raise complain via tweet is one of the best ways. There are higher chances of getting a response fast. IRCTC Toll free number. Helpline number for food and catering related issues. 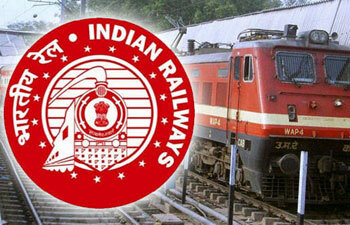 Indian Railway web based complaints, suggestions, feedbacks portal. Register any complaint, suggestion, feedback related to these categories like Allotment of seats/berths by train staff, Bedroll Complaints issues, Booking of Luggage / Parcels Issues, Bribery and corruption, Catering and Vending Services, Cleanliness at Station, Complaint Related To Kolkata Metro, Complaints related to Sleeper Class, Feedback/Suggestions, Improper behavior of commercial staff, Improper Behavior of non-commercial staff, Improper behaviour of non-railway staff, Maintenance / Cleanliness of coaches, Malfunctioning of Electrical Equipment, Non availability of Water, Passenger Booking, Punctuality of Train, Refund of tickets, Reservation Issues, Retiring Room (ONLINE), Signal & Telecommunication, Thefts / Pilferages, Unauthorised passengers in coaches, Working of Enquiry Offices etc. Balance and transaction enquiry by giving just missed call on above number from registered mobile number. If you have not registered your mobile number in your bank accounts, please contact your bank branch for registration to avail this facility. Bank of Baroda introduced missed call balance enquiry service for customers. Bank of Baroda account holders can get bank account balance by just missed call. The customer just needs to give a missed call to the given number from registered mobile number. The customer will get an SMS with account balance details. Read more about Bank of Baroda SMS banking services. Allahabad bank provides missed call number service to the customers. The customer just needs to dial missed call service number from registered mobile number. The call gets disconnected after one ring. Customer will receive an SMS with current balance and last 5 transactions details. If your mobile number is not registered with your Allahabad bank account then contact your branch for the service. Reliance Jio Infocomm Limited provides first high speed 4G internet services in India. Reliance Jio also provides customer care toll free helpline number for the users. Reliance Jio 4G customer care number support Monday to Sunday 24 hours. The Reliance Jio 4G network provides many types of services in India like voice calling service, broadband service, HD voice calling service, data service and much more. Mumbai – 400021, Maharashtra, India.